Stop Richmond District Starbucks - send letters now! This might be a little off topic - but I am working with other Richmond District activists and small business folks to stop another Starbucks from coming into the inner Richmond where I live. click here to send an email letter to the SF Board of Supervisors now! Longtime Bernal Heights community activist Bill Sorro, a leader in the International Hotel Struggle 30 years ago, passed away early Monday morning, according to his family. Bill was a mentor to many of us in the Chinese Progressive Association, the labor movement, anti-displacement movements, and affordable housing struggles. He leaves an incredible legacy [see the current exhibit at the Manilatown Center in the I-Hotel site] of struggle and radicalism in the Asian American and progressive communities in the San Francisco Bay Area. Strength to Bill's partner Huli, and his children Desu, Daphne, Django, Giulio and Joachin and the family that Bill and Huli built. We will make sure your legacy and spirit live on - Long Live the International Hotel and the Fighting Spirit of Bill Sorro! After numerous bargaining meetings, several closed session Board of Education meetings over the past few weeks, mediation, and a grueling 17-hour session this weekend, our district and United Educators of San Francisco have announced a tentative settlement. This is big. It means that on the first day of class, our teachers and paras will not be in labor actions challenging the district for a fair contract, as was anticipated. Congratulations to UESF - United Educators of SF- and new Superintendent Carlos Garcia for hammering out the details this weekend. Now we can all get to work building community support for adequate funding for our schools and a sorely-needed School Parcel Tax on the February 2008 San Francisco Ballot. mediated bargaining session that started at 6pm on Friday. Monday at 4:30 at 555 Franklin Street. crossed the threshold to begin the new school year. We revealed today that the agreement includes a 3% raise starting in January, 2008, for teachers and paraprofessionals. In addition, teachers will receive a $225 classroom supply budget this year and paraprofessionals will receive an additional paid professional development day this year and next. The educators will also receive additional support for dependent healthcare coverage. contains changes in several areas of the contract, including increased dependent health benefits, class size articulation for the child development program, and increased training in special education. The Board of Education and the Union also agreed that the district could have the ability to hire teachers year round for hard-to-staff schools and hard to fill subject areas. UESF Members will be meeting in the next few weeks to discuss the details of their proposed contract and are expected to take a vote shortly thereafter. The Board of Education will also meet to vote on the tentative contract as well. On July 28th a 5:4 majority of the U.S. Supreme Court furthered chipped away at the landmark 1954 Brown v Board of Education case by striking down the school desegregation plans in Seattle, Washington, and Louisville, Kentucky. Both plans had used race/ethnicity in a limited manner for student assignment and were initiated by the local school boards to combat de facto segregation. San Francisco teacher, parent and civil rights organizations are now debating the impact of the decision on our schools. Our Board, new Superintendent Carlos Garcia and legal staff are closely analyzing the decision and its implications for our future desegregation efforts. In the complex split decision, the Court’s most conservative four justices - Roberts, Scalia, Alito and Thomas - argued that race cannot be used in student assignment plans or even as a factor in developing policy. Chief Justice Roberts wrote, “The way to stop discrimination on the basis of race is to stop discriminating on the basis of race." While the new swing vote on the court Justice Anthony Kennedy wrote a concurring opinion supporting the other four conservatives in striking down the Jefferson County and Seattle plans, he importantly joined the four liberal justices in recognizing educational diversity and overcoming our history of segregation to be “compelling governmental interests” – among our country’s highest priorities – that communities can pursue through careful race-conscious efforts. The ruling seems to allow the following to achieve a more integrated educational environment for districts: recruitment of school teachers and staff of diverse backgrounds; collection of data on student performance using race; and the use race as a general factor to guide decisions for new school construction and in determining attendance boundaries for a school. Despite the striking down of the Seattle and Louisville desegregation plans, Kennedy’s 5th vote IN FAVOR OF the limited use of race in desegregation plans was at least a shred of a silver lining in an otherwise devastating decision that many civil rights advocates say has dramatically turned back the clock of civil rights and educational equity efforts many decades. The ruling will have an impact on our desegregation and educational equity efforts in San Francisco and on hundreds of school districts throughout the country. We filed a friend of the court brief in support of both the Seattle and Jefferson County desegregation plans. Our Consent Decree monitor Stuart Biegel and many community groups have decried the rapid re-segregation and growing inequality in our district over the past 6 years and urged the San Francisco Board to reintroduce race into the student assignment system. Our Board has been in intense discussions with our lawyers since the end or our own 1983 SFUSD Consent Decree in late 2005 – a federal court order which required SFUSD to desegregate our schools. We are now studying our existing race-neutral ‘diversity index’ and our now outdated ‘Excellence for All’  desegregation plan and are likely to decide on a new approach in the coming months after we have heard from teachers, staff, parents and other stakeholder groups. It seems to me that the 2007 Seattle/Louisville schools decision will be remembered historically as a dark day in civil rights history. But, I agree with SF Freedom School founder and author Kathy Emery that “legal decisions in and of themselves do not create change.” The law though can contribute to fundamental social change when teachers, parents, and students use such landmarks as Brown or the Seattle decision as leverage in our organizing and fighting for broader changes like adequate funding for all schools and educational equity and equality for all of our students. Ultimately, it’s up to us – teachers, parents and communities united - to ensure equality of opportunity to all San Francisco students. I was appalled last summer when I saw the Starbucks in the Forbidden City in Beijing, China. Now, they are trying to open their 81st store in our City, a few blocks from many other local small business coffee houses and cafes. But Richmond District residents are fighting back, like Sunset, Hayes Valley and other neighborhoods several years ago. Check Out the New Community Campaign to Protect Richmond District Small Businesses and Communities by Opposing the 81st Starbucks in the City and the 6th in the Richmond District and Surrounding areas. 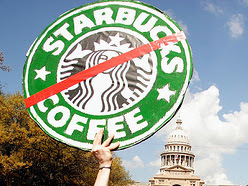 Our 2004 SF law to protect communities from chain stores or 'formula retailers', the first in the US for a large city, apparently has some loopholes that allowed Starbucks to obtain a 'conditional use permit' from the SF Planning Commission. Now, our neighborhood has to appeal the decision to the SF Board of Supervisors on Tuesday August 7th. Please Join Us!